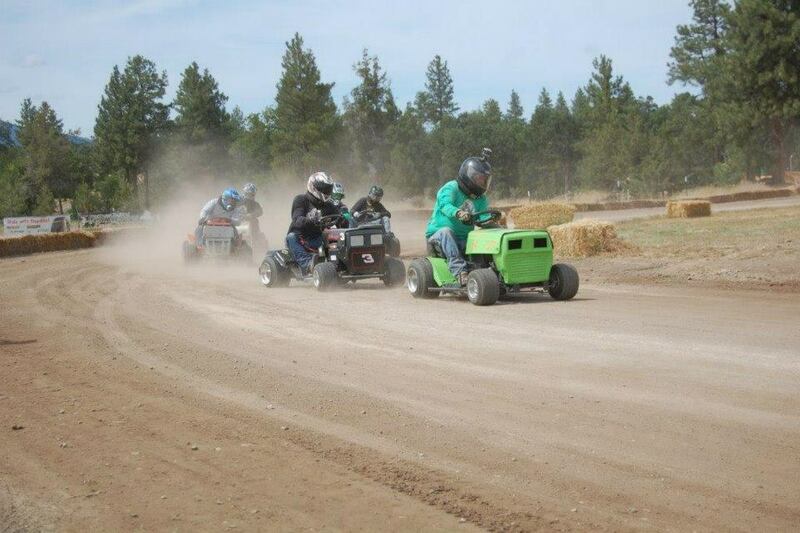 Sportsman's GrassCar Racing-Sofich Track, Wamic - Visit Maupin, Oregon. Join us at noon for the Season Opener! Sportsman’s Grass Car Racing Club is based out of Wamic Oregon. Sportsman’s Grass Car Racing Club is group of people made up of small business owners and their patrons, Ranchers and Farmers from the area. The Sportsman Pub & Grub owned by Mike and Sandy Sofich, is the clubs main sponsor by providing the venue for the sport, food and beer for the spectators and many other contributions. The clubs home track is a 860ft oval with a chicane giving it a reputation for challenging the most experienced lawn mower racers. Beginning with the 2011 season the track was widened to accommodate the growing competition and make way for larger future events possibly sanctioned by nationally recognized lawnmower racing organizations. Although the club has many racers that mostly attend local events, the club’s top racers Randy Marshal, John Charron and Ryan Whitney have taken their skills on the road to see how they match up against Northwest’s finest for the 2011 season. Aside from racing on new tracks and having an amazing time, the club has learned valuable information about track building, race machine design, competition, race organizations and the sport in general. While at away events the Sportsman’s Club racers have come home with more than one trophy from every event this season and the club has proven to be formidable match against the finest racer and their machines. Campers are always welcome to stay at the race track during race weekends.